Hey hostess, it's time to freshen up the idea of a bridal shower! A semi-custom crest, paired with a cheerful yellow ribbon is sure to spring your guests into a celebratory mood! 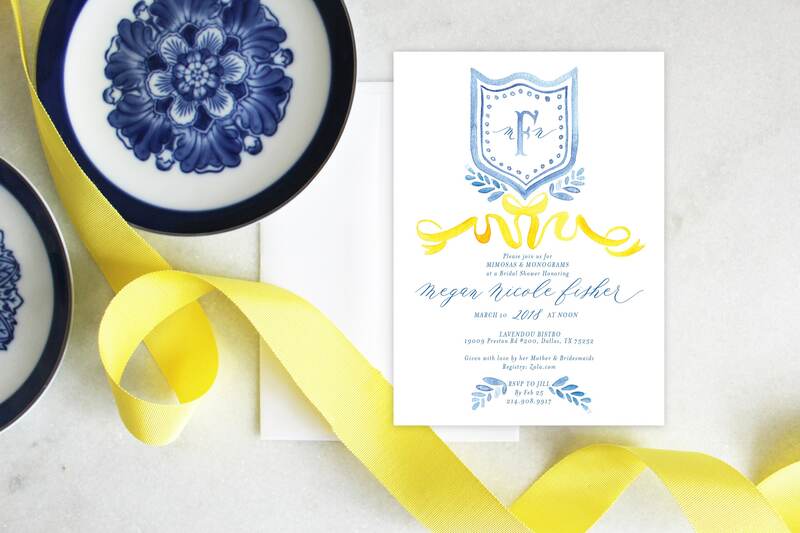 Not to mention this french blue watercolor crest feels custom & sophisticated, just like your bride! #partytip : Style your shower using vases of lemons!